Nowadays, a person's name is simply a means of identification, perhaps only having significance for the family of a child ("You were named after your great uncle") but little more. Way back yonder, names carried deeper meanings. Just take a look in the Bible, especially the Old Testament, and you'll see that names were not casual (such as Gen. 5:29, Ex. 20:10). 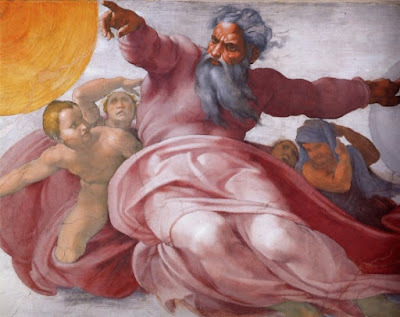 There are people who will react to anthropomorophizing God (assigning human attributes to him) in the Bible, such as arguing against the Bible's divine inspiration because God is described as having eyes, arms, hands, and so on. That's a cheap excuse. Something a mite more interesting, however, is the use of God's names in the Bible. He has several names, and the creation account uses more than one name for God. To some people, this indicates that there were several unnamed and unknown authors, others ignore common sense and claim that there are two contradictory accounts of creation. It's really not that difficult, especially when you ride this trail with a guide. In Biblical times a person’s name had deep significance and was often an expression of his or her origin, character or destiny. There are many terms for God in the Bible, all having special meaning or significance. Even the first book, Genesis, uses different terms, for very good reasons, as we shall see. To finish reading, click on "What’s in a name? — The terms for God in Genesis 1 and 2: no contradiction!" Biblical Creation Does Not Hinder Evangelism!